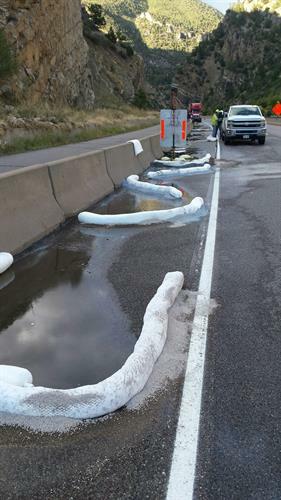 ECOS Environmental & Disaster Restoration, Inc. (“ECOS”) is a Colorado Corporation founded in 2004 and doing business primarily in Colorado. 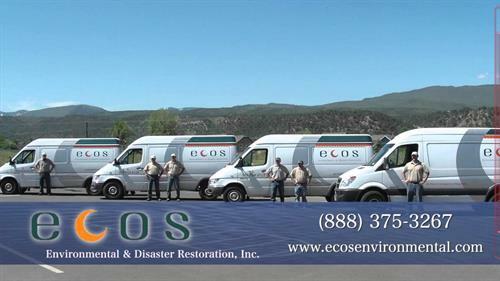 ECOS is a Minority Business Enterprise (MBE) specializing in 24/7 emergency response, offering a full range of environmental, catastrophe, and residential services. 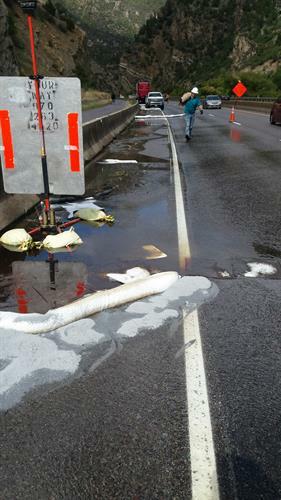 Over these past eleven years, ECOS has been continually operating as a disaster cleanup company, successfully performing flood, fire and hazardous material services, as its principle disciplines since its inception. 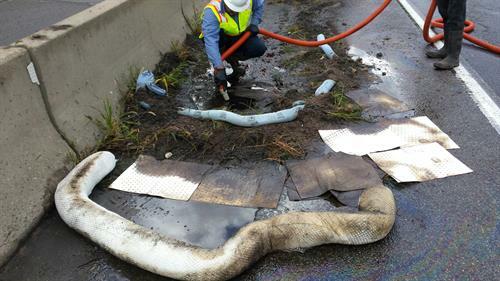 ECOS’ professionals are well trained, certified, experienced, and prepared to respond to any environmental emergency or loss, no matter the time of day, size or location.In 2012, ECOS was awarded with the Aspen Chamber of Commerce Business of the Year award. In 2014, ECOS received the Best of Aspen Award in the Environmental & Ecological Services category by the Aspen Award Program. Currently, there are branch locations in Aspen, Boulder, Glenwood Springs, Grand Junction, Steamboat Springs and son Vail. ECOS takes pride in its impressive safety record, and is proud to say that there has only been one reportable injury in its ten year history. The extensive safety procedures at ECOS include performance of a daily job site safety analysis of every task, weekly company safety meetings, annual safety reviews, and a dedicated company Health and Safety Officer who reviews all work plans and contracts to ensure superior safety. In between Glenwood Springs and Carbondale at the CMC/Thunder River Market turnoff and make your immediate left after the turn and you will see our ECOS trucks and Signs.